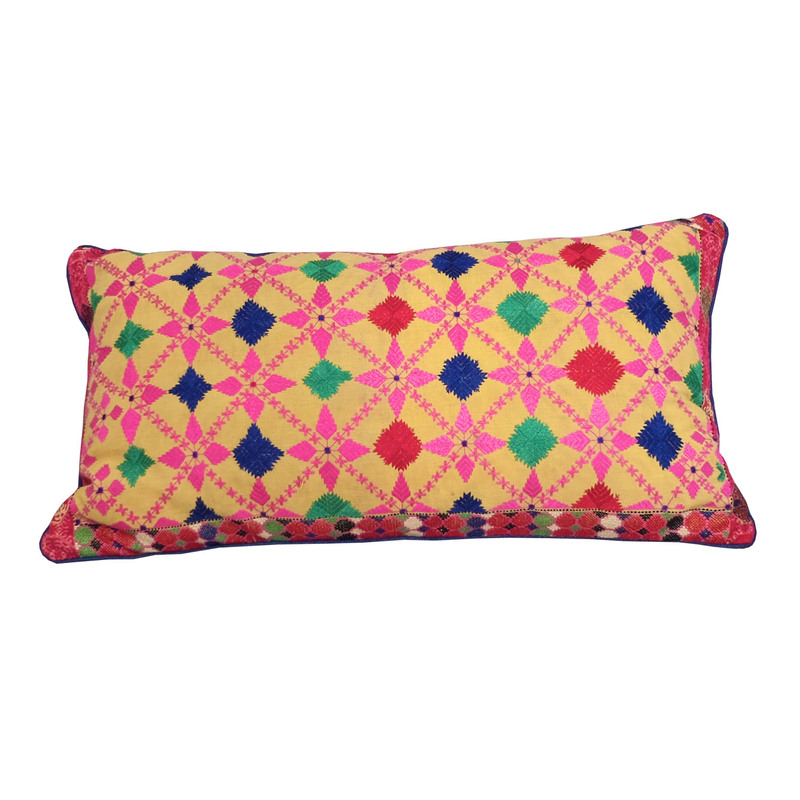 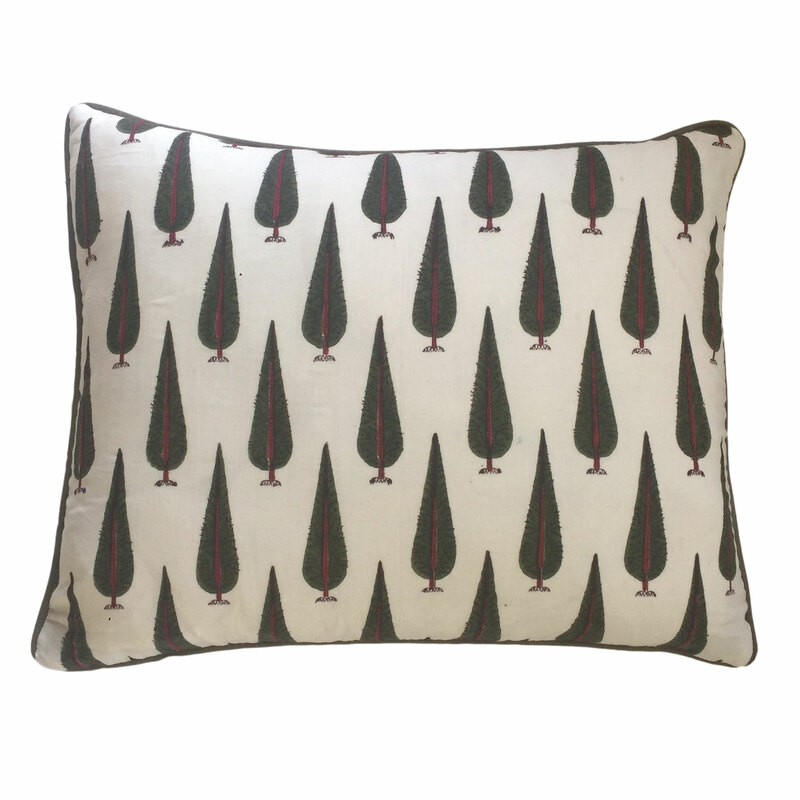 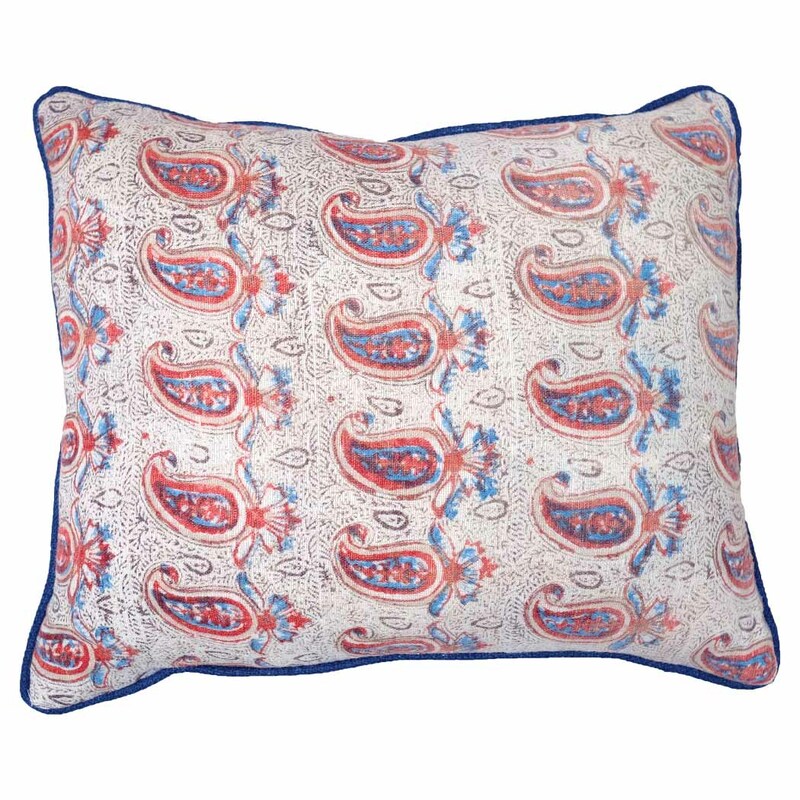 An Indian block printed cushion designed with a dense repeating Cypress Tree pattern against a white cotton ground. 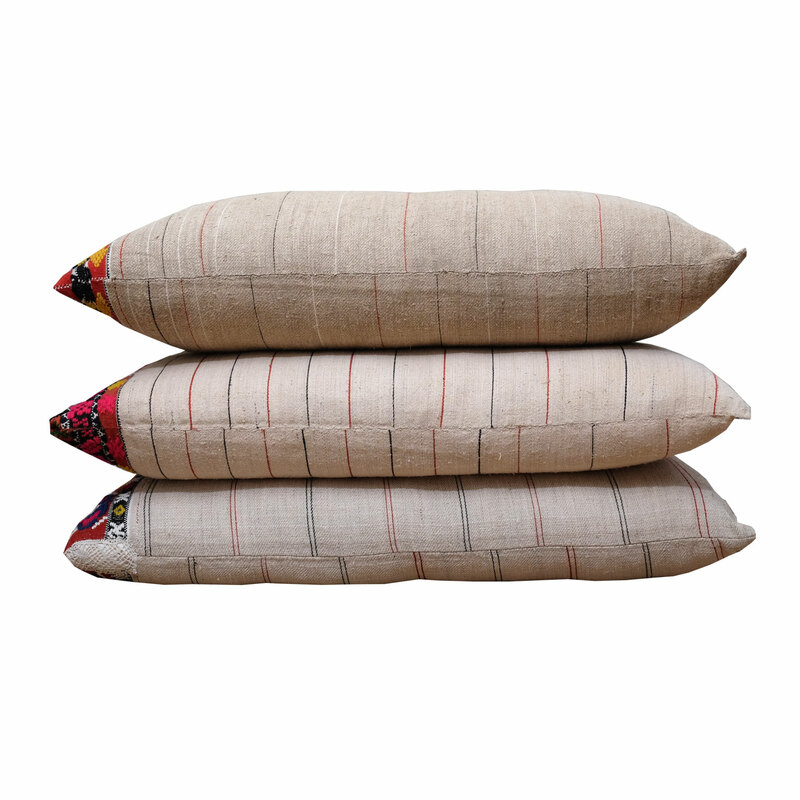 Piped and backed with coordinating olive green linen. 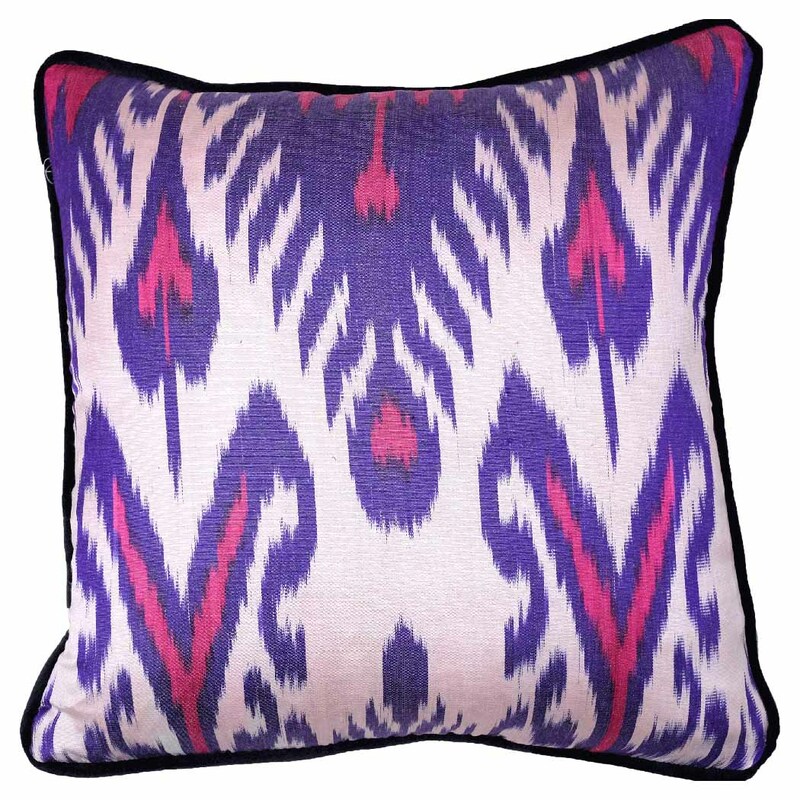 Zip and feather pad.